On March 16, the White House released the president’s proposed budget for Fiscal Year 2018 (School Year 2018-19), which will begin on October 1, 2017. That budget contains draconian cuts to LDA priority programs, including education, job training, physical and mental health, environmental protection, and juvenile justice. Overall the budget would cut discretionary spending, except for defense, by $54 billion, while increasing defense, homeland security, and veterans’ affairs by an almost equivalent amount. Among the agencies hardest hit are the Departments of Labor and Education and the Environmental Protection Agency. As an example, if this budget was enacted, the Department of Labor would receive $2.5 billion, or 21 percent, below current spending levels. The Title I training grants and Employment Service grants under the Workforce Innovation and Opportunity Act (WIOA) would likely be cut by 50 percent. The Department of Education would receive at least a cut of $9 billion, or 13 percent. Approximately 20 smaller programs would be eliminated. 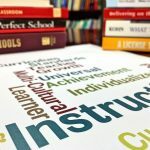 In addition, the budget calls for elimination of the afterschool program, the comprehensive literacy program for which LDA has long advocated, and all of Title II of the Every Student Succeeds Act, which provides teachers, administrators, and other school personnel training and professional development. The budget proposes to add a private school choice program at $250 million, but there are currently no details on how that would be structured. One of the few education programs highlighted as remaining at current funding levels is the Individuals with Disabilities Education Act (IDEA). 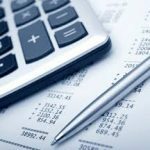 However, it is important to note a freeze in funding is equivalent to a reduction due to increased costs of providing services and inflation. There is almost no likelihood this budget will ever be enacted. The president’s budget proposal – delivered each year usually in February by the sitting president – is a statement of the Administration’s funding priorities. This year’s proposal is “skinnier” than usual, with little or no details about many federal programs. A more detailed budget is expected later in the spring. And whatever the president’s budget says, it is actually Congress that makes spending decisions. So here are the next steps in this process: Each chamber of Congress – House and Senate – will attempt to come up with a budget, and then the two versions will be reconciled into a Budget Resolution. That document is non-binding, except for the top line number that is the total the Appropriations, or spending, committees will be given to allot among all federal agencies. The Appropriations Committees in the House and Senate are already beginning hearings with heads of departments and agencies to ask questions about the president’s budget proposal. Most important is the fact that Congress has not yet finalized spending for the current fiscal year, FY 2017. Congress has been negotiating about FY 2017 (School Year 2017-18) spending since before the presidential election. The government is currently under a Continuing Resolution (CR), a mechanism to keep federal agencies operating until Congress determines final spending levels. The current CR expires on April 28, and it is now clear Congress will not be able to finish its work on FY 2017 before that date, making certain another CR will be passed. There are some hints that the CR could last for the remainder of the fiscal year. $1.2 billion cut from Supporting Effective Instruction (Title II) State Grants, which is eliminated completely in the president’s 2018 budget proposal. These funds support teacher and administrator training and professional development, and this is the second largest formula grant program under the Every Student Succeeds Act. $190 million cut by eliminating the comprehensive literacy development grants (formerly Striving Readers) in Title I. 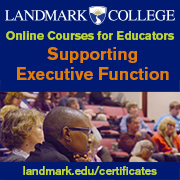 This program specifically mentions addressing literacy instruction for students with disabilities, including training for general education teachers. $248 million cut from programs eliminated by the Every Student Succeeds Act and whose funding is intended to be covered by the new Title IV block grant in FY 2017. ESSA, Title IV-A includes programs in three buckets: well-rounded education, safe and healthy students, and technology. In addition, the president has called for deep cuts in other budgetary areas, including the National Institutes of Health, the Centers for Disease Control, and the Mental Health block grant. Once FY 2017 is settled, Congress will look in earnest at FY 2018. There will be serious discussions about the president’s proposed cuts, and ultimately the House and Senate will try to reach agreement on a more realistic spending package. LDA is involved in several national coalitions addressing some of the key priority areas, such as Medicaid, private school vouchers, environmental issues, and juvenile justice. 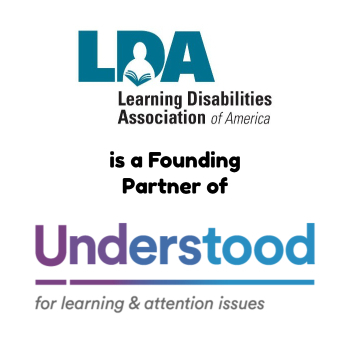 LDA has a regular presence on Capitol Hill and will continue to push to ensure the needs and concerns of children, youth, and adults with learning disabilities are heard and appropriately addressed by the federal government. The new Administration has been using a vehicle known as the Congressional Review Act (CRA) to repeal a number of regulations across federal agencies. Among the regulations overturned are those governing the accountability, State plan, and data provisions of the Every Student Succeeds Act (ESSA). The regulations were adopted by the U.S. Department of Education late in 2016 after the regular process of public comment and review. The ESSA rules clarified for school districts how to implement significant portions of the new law, which is scheduled to take full effect in the 2018-19 school year. Under the CRA, once regulations have been rescinded, the Department may not write substantially similar regulations on those same provisions in the future. The Department of Education may issue non-regulatory guidance, provide technical assistance, and issue Dear Colleague letters to State superintendents. However, none of these mechanisms has the weight and force of regulations. The ESSA regulations provided standards for how States rate schools’ performance and assurances that stakeholders would be included throughout the planning and implementation processes. Also, States were provided a template for developing the required State plans that comported with these regulations. Now a new State plan template with some brief guidance has been issued by the U.S. Department of Education. Those guidelines make some significant changes, including allowing States to develop their own plan formats in collaboration with the Council of Chief State School Officers. Those individualized formats must be crosswalked with the required components in the Department’s template. State plans will be required to include only what is necessary under the law, with the intention of promoting innovation, flexibility, and accountability and reducing burden. Because State plans are not “regulatory,” the Department does not have to post them or allow public comment, resulting possibly in substantial changes to plans not reported to the public. States will have the option to submit a plan for each ESSA program (e.g., Title I Part A, Improving Basic Programs; Title I, Part C, Education of Migratory Children, etc.) or submit one consolidated plan. This would not be problematic generally. However, there is a requirement in Title I, Part A for public notice and stakeholder engagement. According to the new Department guidance, States will only be required to carry out this provision if they submit an individual Title I-A plan. Those opting for a consolidated plan will not have to follow the public posting requirements. This would substantially limit the opportunity for stakeholders to participate, as well as the transparency States must provide, meaning advocates will have to pay very close attention as the process of plan development and implementation continues. The Administration’s stated intention to repeal and replace the Affordable Care Act (ACA) prompted swift action from LDA, as the organization engaged with a broad array of national organizations, including disability, education, civil rights, and health care advocates. With the introduction of the American Health Care Act (AHCA) in March, LDA and its partners engaged in direct advocacy on Capitol Hill and mobilized grassroots advocates, ultimately succeeding in defeating a bill that would have caused serious negative impacts on individuals with learning disabilities. LDA had several significant concerns about the AHCA. First and foremost were the proposed changes to the Medicaid program, upon which many children and adults with disabilities and low-income individuals rely for their health coverage. Currently, the federal government matches State funds for qualified Medicaid costs. States receive at least one dollar in federal funds for every State dollar spent. This funding mechanism allows federal funds to go to States based on actual costs and needs. The ACA allowed States also to opt for a Medicaid “expansion” plan that provides an enhanced match rate. Under the Medicaid expansion, States were guaranteed 100 percent reimbursement for Medicaid costs for newly eligible recipients from 2014 to 2016, with a gradual phase-down to 90 percent in 2020. The AHCA included a change in the Medicaid funding mechanism to a per capita cap, with the late addition of an option for States to receive their Medicaid funds in a block grant. LDA strongly opposed both alternatives. LDA was also deeply concerned about the effects of per capita caps and block grants on services delivered in schools to children with learning disabilities. Approximately $4-5 billion currently flow to schools through the Medicaid program for low-income children and children with disabilities. Those dollars pay for EPSDT (Early Periodic Screening Diagnostic, and Treatment”) services, which include important vision and hearing screenings and provide early identification of other health problems that impede learning. 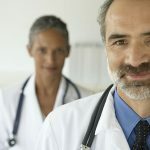 Medicaid dollars also are used to reimburse for critical specialized instructional support services for children with disabilities, including speech-language, occupational and physical therapies, mental and behavioral health services, and school nurse services, especially for children with chronic health conditions. The Congressional Budget Office (CBO), a non-partisan, non-political agency, issued a report on the potential effects of the AHCA shortly before the House was ready to vote on the bill. The CBO reported that 14 million Americans could lose their health coverage under the AHCA this year alone and 24 million over the next decade. Ultimately the Speaker of the House assessed that there were not sufficient votes to pass the AHCA. The bill was pulled at the very last minute, and currently there are no plans to bring the bill up again. 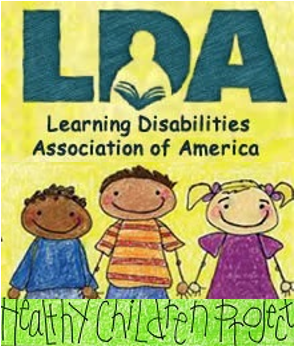 LDA, with a broad array of national partners, will continue to educate congressional staff about the potential harms of changes in the health care system, especially for children with learning disabilities. The national organization reached out to its State affiliates to contact all members of Congress to expand this education process. In addition, LDA was pleased to have a number of members from across the country participate in visits to their congressional delegations in Washington as part of this year’s national LDA conference. These efforts will continue, as LDA continues to monitor any efforts to impact health care for its members. Two new resources are available to help families understand the Every Student Succeeds Act (ESSA) and advocate for students with learning disabilities. Both include activities and planning guides to help advocates in having conversations with policymakers, educators, and other State and local leaders. A third resource is designed to help State education agencies and stakeholders as they work to develop ESSA State plans. The ESSA Advocacy Toolkit – produced by the National Center for Learning Disabilities and Understood, of which LDA is a partner organization – provides information on a number of topics: how the law works, the importance of accountability for students with disabilities, indicators adopted to measure student and school achievement, and assessment accommodations. The toolkit also includes several forms advocates can use to organize goals, actions, people, and talking points. The Center for Parent Information and Resources (CPIR) and the Advocacy Institute have developed a Stakeholder Guide on ESSA targeted to Parent Center staff members and advocacy organizations. The Guide provides in-depth information on key provisions in ESSA: the structure of the law; specific provisions on standards and assessments, accountability, annual report cards, and school performance; and State plans, implementation, and stakeholder engagement. The third resource, developed by the National Center for Systemic Improvement, is a tool to check for alignment between the State’s ESSA plan and the State Systemic Improvement Plan (SSIP) for implementation of the Individuals with Disabilities Education Act (IDEA). The purpose of this tool is to make sure States are thinking about how they can craft ESSA plans that lead to better outcomes for all students, including students with disabilities. The resource offers a number of considerations from ESSA, such as stakeholder engagement and supporting excellent educators, as prompts for deeper conversations about how to leverage work already done under the SSIP that will result in an ESSA State plan that builds on that work.